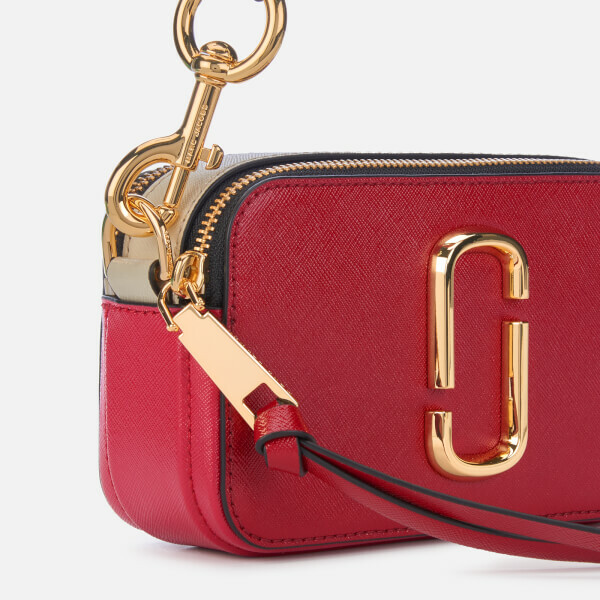 Constructed in red crossgrain leather, Marc Jacob’s iconic ‘Snapshot’ bag boasts its trademark clashing colour-blocked design. 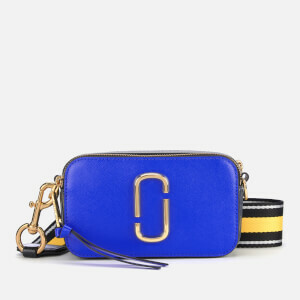 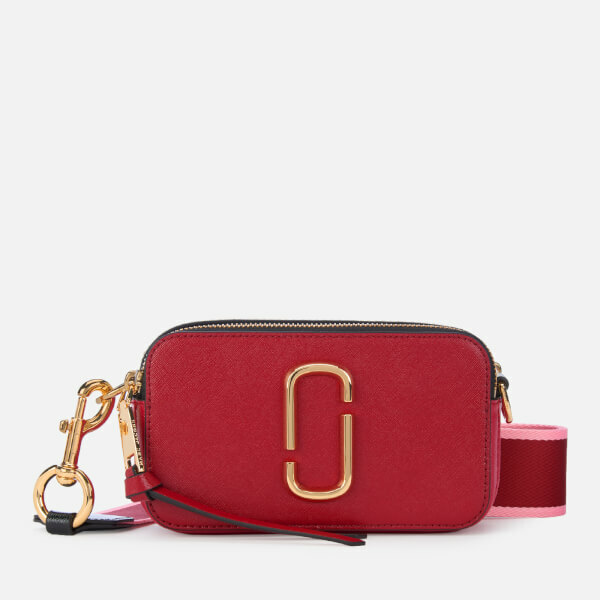 Complemented with gold-tone hardware, the compact bag features two fabric-lined zipped compartments, one of which houses a slip pocket for storing small essentials. 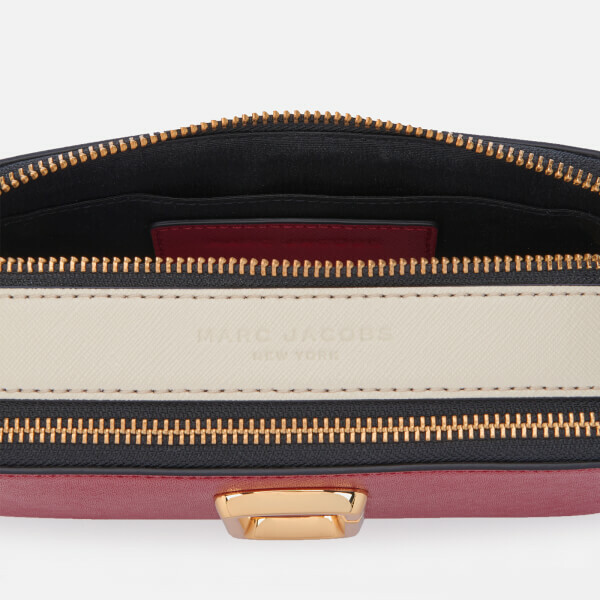 An external slip pocket to the reverse offers additional storage. 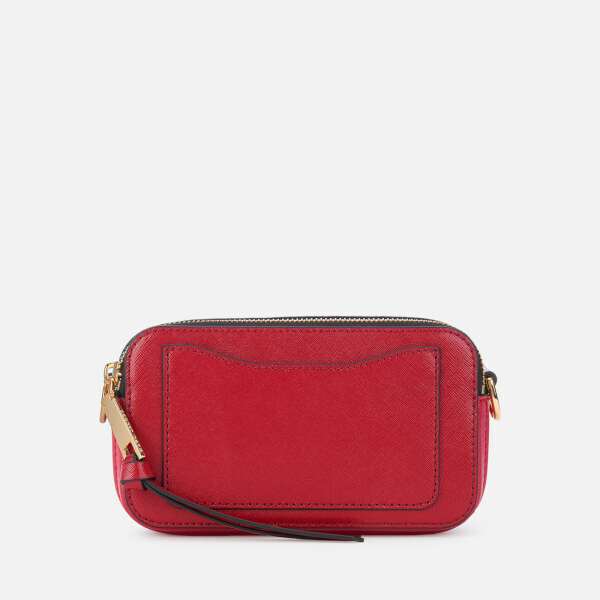 Detailed with the brand’s signature adjustable guitar strap for cross body wear, which can be removed to form a clutch or pouch. 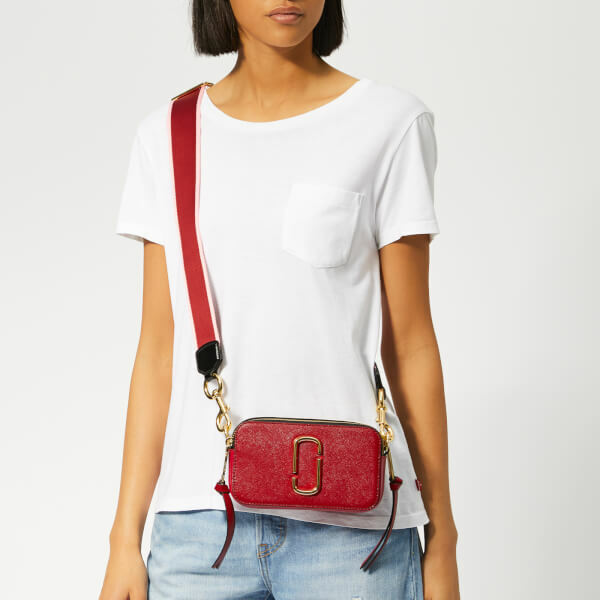 Brand-engraved dog clips and zip pulls, tonal stitching and appliqué double ‘J’ logo at the front completes the camera bag's design.